DJ and producer Gregor Salto has been dominating the Dutch club scene for over a decade with his eclectic sounds. Now the time has come to conquer the rest of the world. some years of experimenting on his dad’s Commodore Amiga computer, he debuted at eighteen years old with the 12“ vinyl ‘Pangaea’ on a sub-label of Amsterdam’s legendary Outland Records. Besides DJing and producing, Gregor also keeps busy with the corporate side of things. Unsatisfied with the musical and business policies of most record companies, Gregor Salto started his own imprint G-REX Music in 2001. In 2009 G-REX became a part of the Dadadam label group of which Gregor is CEO. 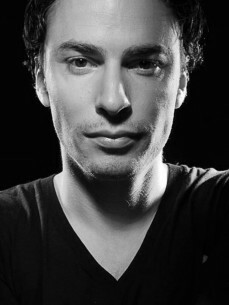 His unrivalled productiveness has made Gregor Salto an extremely popular remixer. He has worked for superstars like George Michael, Rita Ora and J-Lo, and dance icons like Axwell and Nicky Romero. It also kept him in the top ranks as one of Holland’s most in demand dj’s and producers and spread his fame throughout the globe. Then again, his own productions might have something to do with that as well. Salto drums ruled the festival stages last year, as ‘Azumba’, released on Laidback Luke’s label Mixmash, remains a huge hit among the world’s biggest dj’s. Furthermore, Gregor expanded his horizon and started producing for one of the world’s biggest pop artists. Never a prisoner of his own style, he made a remix for Rihanna’s ‘Diamonds’, which was included late last year on the deluxe version of her latest album ‘Unapologetic’. More exciting things are to follow this year. After the number 1 Beatport electro hit ‘What Happens In Vegas’, Gregor and DJ Chuckie decided to put out an updated version of their 2006 club classic ‘Toys are nuts’. ‘Toys Are Nuts 2013’ looks set to be an anthem this summer, with support from fellow artists like Bingo Players and Tiësto, who already played it in his Club Life podcast. Tours through America, Asia, Australia, the Caribbean, Africa and the Middle East have all been scheduled for this year. On March 19th, while on tour in the US, Gregor will receive an ASCAP (American Association of Composers, Authors & Publishers) Latin award in Miami for the song “Echa Pa’lla”, his track with Pitbull. Moreover, Gregor is an ambassador of WNF (the Dutch branch of WWF) and is currently working on a charity album to support the Tutu Desk Campaign in South Africa. Indeed a man with a plan. Who knows, the world might not even be big enough for everything Gregor Salto has planned.